alaTest har samlet og analyseret 14 anmeldelser fra magasiner og hjemmesider. Anmeldere kan virkelig godt lide brugervenligheden. Gennemsnitligt vurderede brugere dette produkt til 89/100 og eksperter vurderede dette produkt 75/100. The JBL Clip 3 is a compact, waterproof speaker made for travel and sounds great for its size. Solid audio for the size and price. Waterproof. Lightweight design with built-in carabiner. Light on accessories. No real bass response. In fact, the older model is not only more versatile and cheaper, but also sounds better. If you’re looking for a small waterproof Bluetooth speaker to take travelling with you, you know which one to buy. The next generation of JBL's ultraportable Clip speaker delivers with improved sound quality, better battery life and a more rugged design. The JBL Clip 3 offers improved sound and battery life in a more durable design than its predecessor. 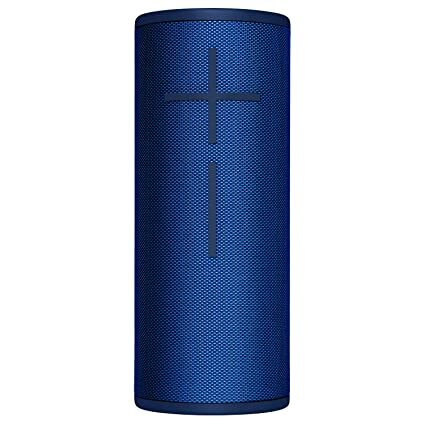 It's fully waterproof and sounds very good for its small size. The integrated carabiner allows you to clip the speaker to a bag or hang it from a peg. It's a tad larger and heavier than the Clip 2, which is still available at a lower price. The JBL Clip 3 is a better-sounding version of one of our favorite micro Bluetooth speakers. La nueva generación de bocinas Clip ultraportátiles de JBL llega con una calidad de audio mejorada, mayor duración de la batería y un diseño más robusto. Es un poco más grande y más pesada que la Clip 2, que todavía está disponible en el mercado a un precio inferior. La Clip 3 de JBL es una versión con mejor sonido que cualquiera de nuestras bocinas Bluetooth favoritas. Ultraportabla JBL Clip 3 är en kompakt och vattentät högtalare, som gjord för dig som reser lätt. TEST: Bluetooth-Lautsprecher JBL Clip 3 - rund, kompakt und klangstark für knapp 60 EUR? Fantastic clip feature, quality and design with uninterrupted sound. Exceptional value for money. I bought a clip 3 about a week ago but i cannot connect my phone and my computer to the speaker. I put the speaker in pairing mode by pressing the BT button but doesn't work. i've tried several times with others phones and computer but still doesn´t work.